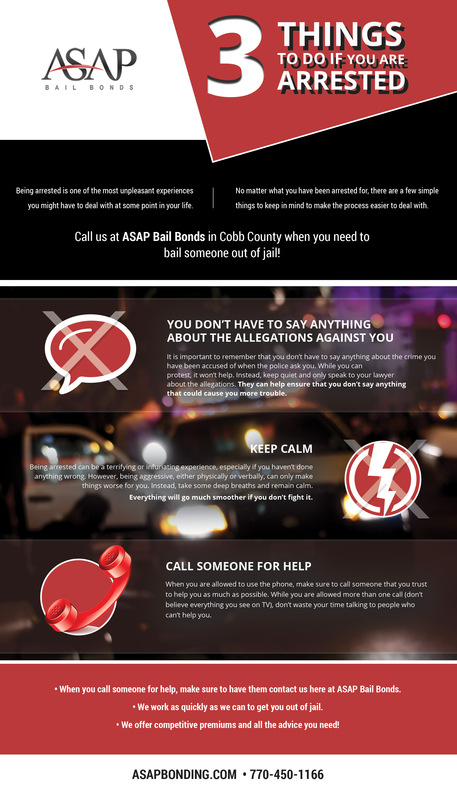 Cobb County Bail Bonds: If You're Arrested, Remember These Tips! Being arrested is one of the most unpleasant experiences you might have to deal with at some point in your life. No matter what you have been arrested for, there are a few things to keep in mind to make the process easier to deal with. 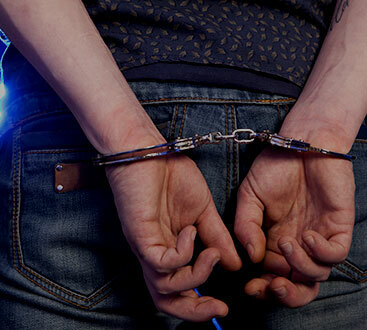 In this article, we will cover three simple things that you should keep in mind if you have been placed under arrest. Call us at ASAP Bail Bonds in Cobb County when you need to bail someone out of jail! We are dedicated to providing our clients with the best service possible, including all of the information you need about the bond process. We also offer a free warrant search that covers the greater Atlanta area, so if you need to know about any warrants, we can help! It is important to remember that you don’t have to say anything about the crime you have been accused of when the police ask you. While you can protest, it won’t help. Instead, keep quiet and only speak to your lawyer about the allegations. He or she can help ensure that you don’t say anything that could cause you more trouble. Think about it this way — the police are really only there to gather the evidence the court needs to convict you. The less you give them, the less they have to work with. Even if you haven’t committed a crime, saying too much can point them in a direction you don’t want them looking. We get it — being arrested can be a terrifying or infuriating experience, especially if you haven’t done anything wrong. However, being aggressive, either physically or verbally, can only make things worse for you. Instead, take some deep breaths and remain calm. Everything will be over much sooner if you don’t fight it. Resisting arrest can lead to more charges, some of which might be more serious than the reason you were being arrested. Aggressive behavior can also lead to a judge making the amount of your bail higher. When you are allowed to use the phone, make sure to call someone that you trust to help you as much as possible. While you are allowed more than one call (don’t believe everything you see on TV), don’t waste your time talking to people who can’t, or won’t, help you. When you call people for help, make sure to have them contact us here at ASAP Bail Bonds. We work as quickly as we can to get you out of jail. We offer competitive premiums and all the advice you need! Make sure that the person calling on your behalf has your full name, date of birth, the jail you’re being held in, and any case numbers. Having that information can make the process move more quickly. Call us today if you need help getting someone you care about out of jail and back to their normal life. ASAP Bonding in Cobb County is open 24/7, so please don’t hesitate to call us when you have questions.